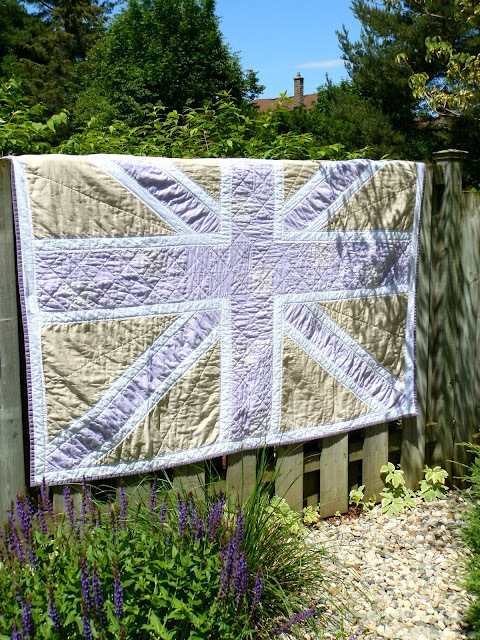 Todolwen: 23 Days Later And 3 Days Late..
23 Days Later And 3 Days Late..
after a lot of cutting, sewing and quilting and some very sore fingers my gift for my daughter Caylagh is finally finished and with that said I can finally share the Union Jack quilt I made for her with you today. ... that's when I know I am almost done with my work. ... and then there they were ... the final few stitches and then ... at last ... finished!! Unfortunately my writing faded with washing, so I will have to rewrite her label. ... my finished gift ~ I think it turn out so lovely! 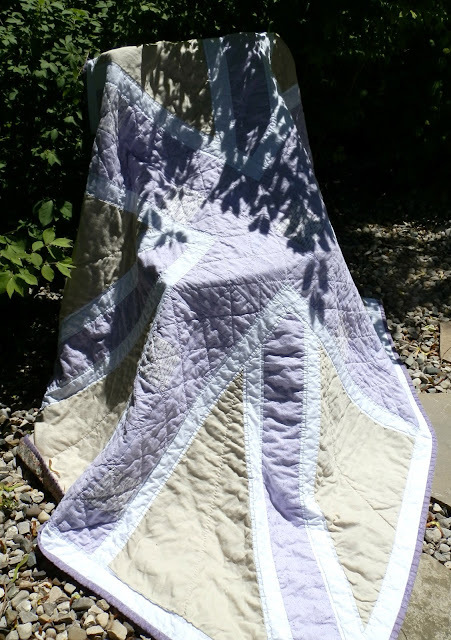 When I have a little spare time, which will hopefully be soon, I am going to draw up the basic pattern for this quilt and a few little tips on how I made it and share it here on Todolwen for all you lovely bloggers. That's all for now. I still need to rest my fingers a little more but it would be so nice if you would stop by soon again and visit me here at Todolwen again. I hope you are well and life is treating you kind. Absolutely gorgeous! 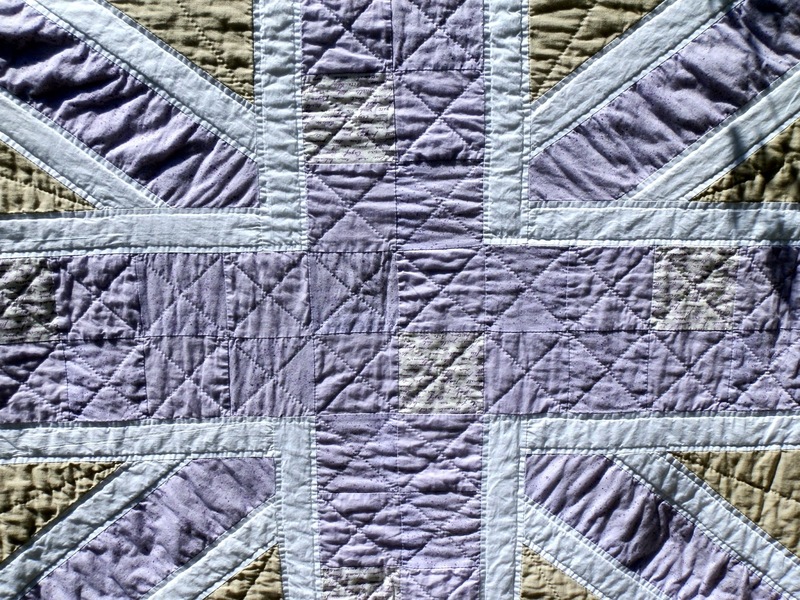 I just LOVE The Union Jack...this is wonderful! Congratulations of a job well done. Oh wow!! It's so beautiful! The quilt is beautiful and my daughter would love it too! I like the little accent pieces you have added and the quilting lines, nice touch. Your fingers deserve a break! Oh Karen, it turned out magnificent! What an awesome gift, Caylagh is one lucky girl! I look forward to your pattern. I like how you sew the edges together before putting the binding on. I have never seen anyone do that before. And I've been around a lot of quilters! I will be implementing that in my work! Karen, you are very talented. 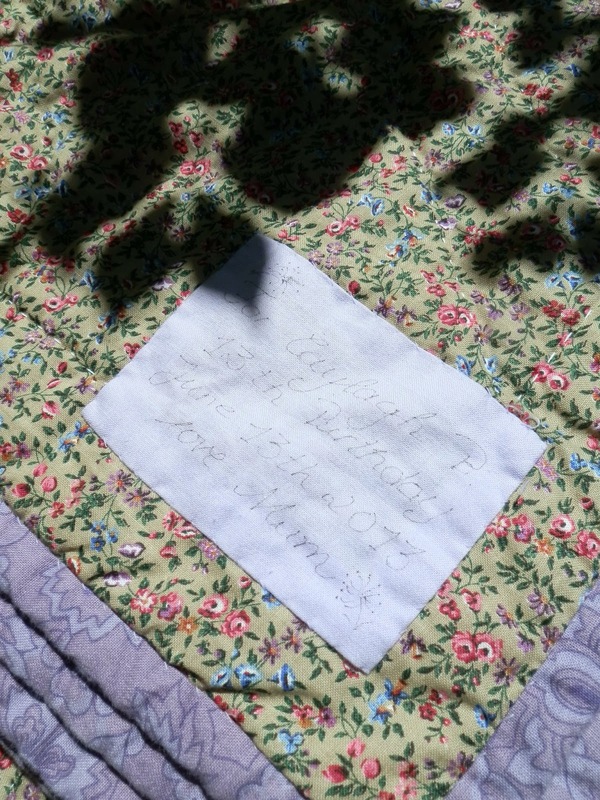 I'm sure Caylagh will some day pass this quilt on to one of her kids. You did a great job! You´ve made a wonderfull gift for your daughter. I think, something like such special things will stay for many, many years. Karen, this is just beautiful. Love the design and the fabric choices are devine. What a most precious gift. Thanks so much for sharing it with us..or maybe we should thank Caylagh for sharing her gift with all of us. Ah Karen, your quilt is indeed lovely. I am so thrilled for you, and so inspired. 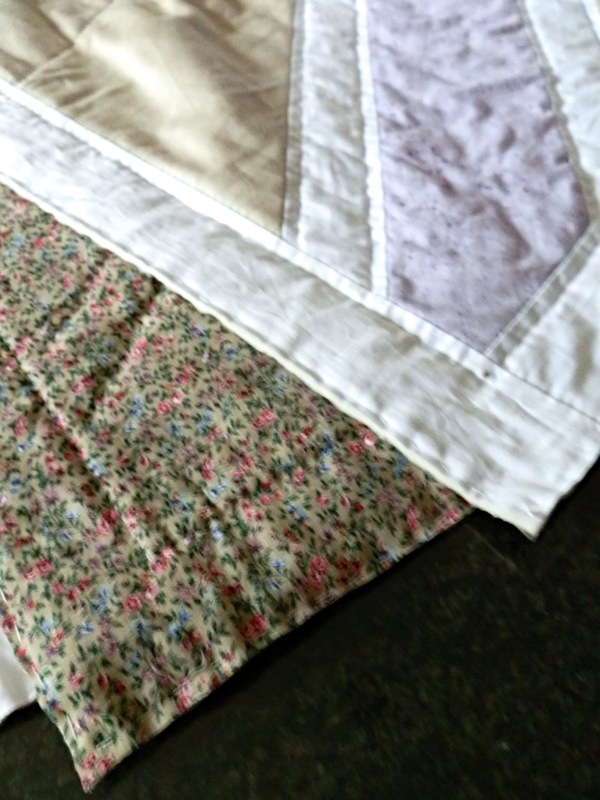 Hand-piecing and hand-quilting are not often done anymore and you have made such a treasure for your child.... I am also delighted to hear you are sharing the pattern. Inspired by you, and in honour of our up-coming trip I think I shall hand-piece and hand quilt one for myself. Thank you so much for sharing this. My name is Karen Bailey, and my passion aside from my family is finding old things and crafting. I love walking through antique stores and other interesting places to search for new treasures that I can use for my crafts or for my home. All of my work, photographs, templates and designs are protected by copyright laws. I am happy for you to use them to share on your blogs or to pin them. A link back to Todolwen when using any of them would be appreciated. Any use/displaying of any of my property on inappropriate websites is strictly forbidden. Please do not post my tutorials in part or full without my permission and any altering of my photographs is not allowed. Please respect this. Thank you. Follow me here if you wish! You can also follow me here if you wish ..
.. And Also In ..
New Wool For Nests ..
My Baby Girls 13th Birthday ..
One Should Pay Attention .. I Am A Hopeless Romantic ..